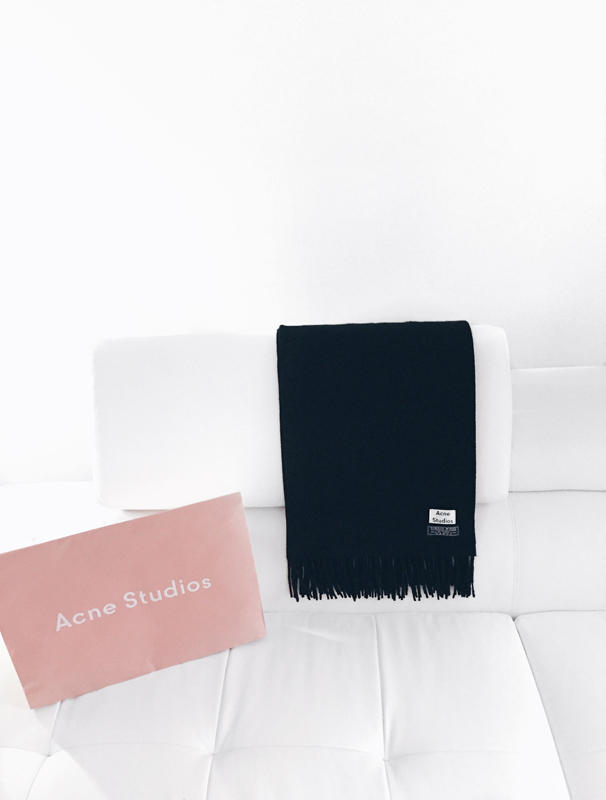 The immensely popular Acne Studios Canada Scarf is hands down a "must-have" winter accessory. It was sold out everywhere for almost two months! I finally got my hands on one, thanks to my dear friend Terry who gifted it to me recently. I have to admit that I love it; and come on, what's not to love?! 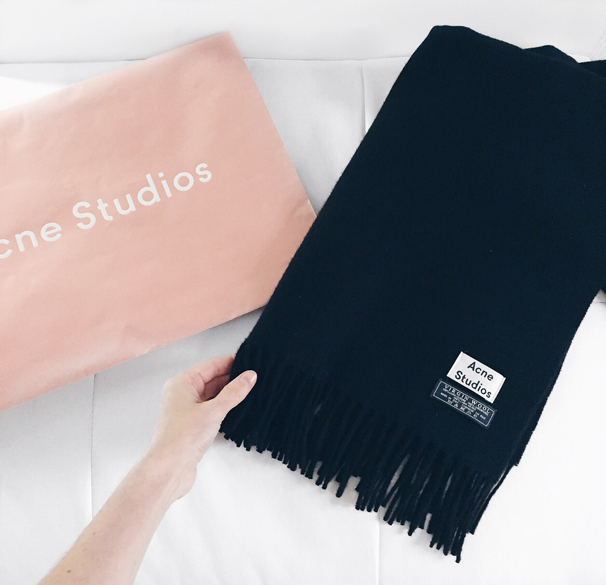 Black goes with everything, and the 100% virgin lambswool keeps you warm while being stylish. It can also be worn as a shawl because of the sizing. The price is steep but it is worth it, the luxurious feel of the wool is soft and comfortable. 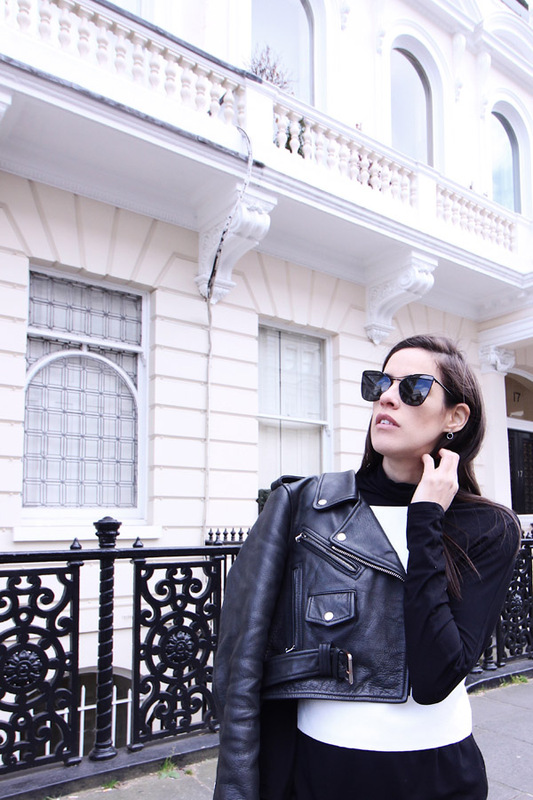 Acne is known for it's quality and timeless style, I am already planning to get a shade of grey for next winter! Here is also a sneak peek of my new couch! I am working on redecorating and re-doing my living room. Once it is all done I will be sure to share. I have spent a lot of time researching the right pieces, ones that I want and in a price bracket that I can afford! Getting this project done has taken more time than I anticipated, but it has also been much more fun than I expected. This is truly beautiful indeed. Can't say enough about that box design though! i have the alaska one and i love it so much! what a nice friend for gifting you this! it totally suits your style! Oh yes! still need it!